Alexite gemstones exhibit a dramatic color-change effect, shifting from shades of blue to purple and green to orange under various light sources. Alexite is a simulated gemstone crafted from synthetic glass containing rare earth minerals, like neodymium. 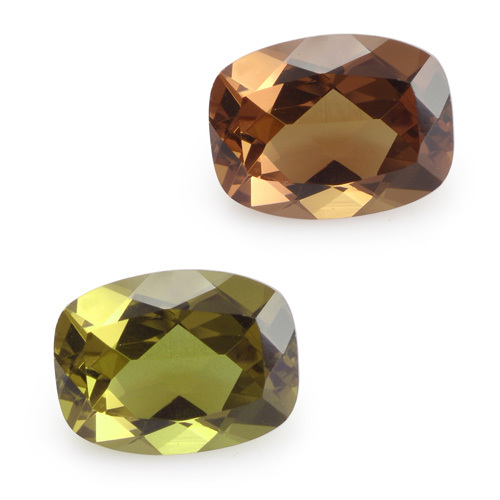 This intriguing stone is frequently compared to after alexandrite, a color-change variety of chrysoberyl. 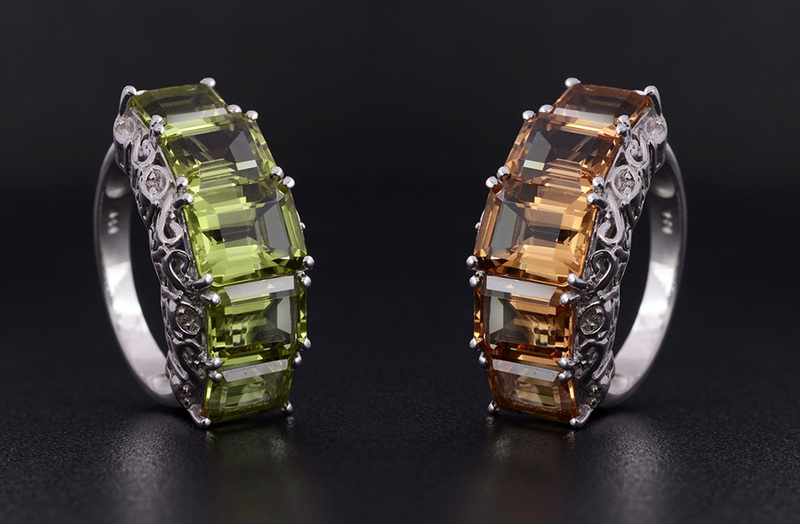 While alexandrite only presents a red-green color shift, Alexite is available in two colorful varieties. Autumn Alexite ranges from green to dusty orange, like the turning of the foliage in fall. Lavender Alexite ranges from beautiful tanzanite blue to deep lavender under artificial light. When viewed outdoors, it appears nearly pink. 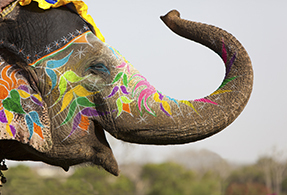 The color spreads throughout and maintains consistent brilliance. Alexandrite's natural color-change effect makes it a particularly rare and expensive stone, with values comparable to emeralds, rubies or sapphires. However, manmade Alexite displays the same stunning color-change effect at a fraction of the cost of similar stones. 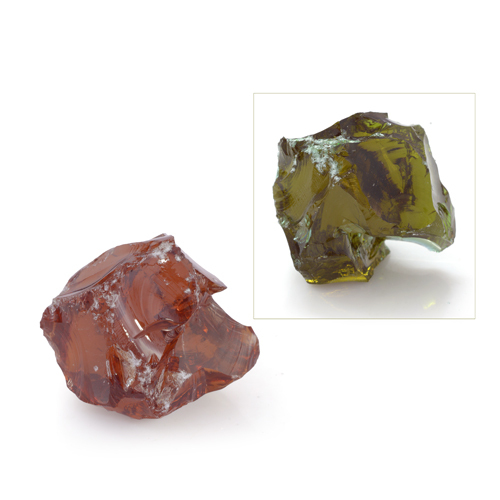 Alexite is a synthetic color-change glass with a hardness and durability matching other glass gemstones. While chipping can render a surface treated stone unusable, the uniform color produced by the Alexite manufacturing process eliminates that problem. • Simulated gemstones and rare materials are not a new invention. The ancient Egyptians were known to use a glazed ceramic substance that resembled turquoise, called faience, in their jewelry and decor. Blue gems that had been constructed of glass were discovered in King Tut's tomb. • Similar to quartz, glass is regarded as a channel for other gemstones' metaphysical properties. It carries the energies of transformation, rebirth, focus and communication. • Crystal healers and Feng Shui practitioners have long used colored and faceted glass to deflect negative energy or chi. Alexite is a registered trademark for this synthetic color-change glass gemstone manufactured in India. Few companies in the United States have earned the rights to sell alexite, and Shop LC is one of them. • Ranks 5.5 on the Mohs hardness scale. • Colors display in blue and purple or green and maple with a captivating color-change effect. • Sourced from synthetic gemstone producers in India. • Alternative gift for 45th and 55th anniversaries. 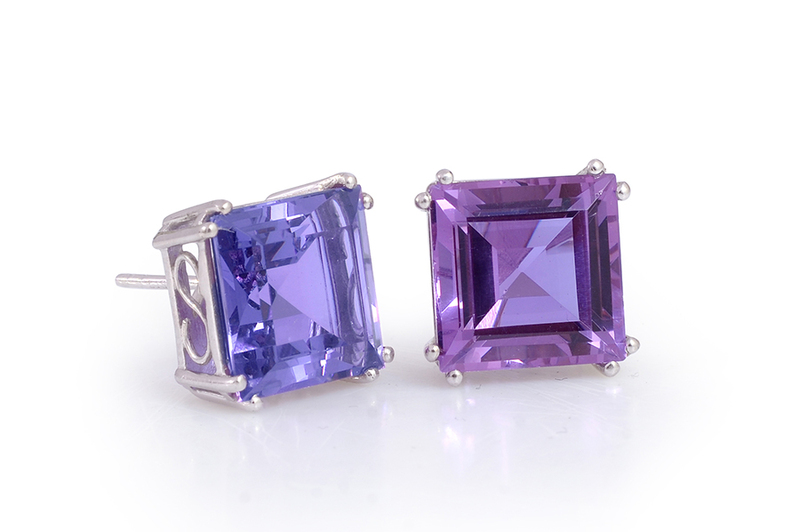 Alexandrite is the traditional gift. • Also known as Zandrite.